Bring them to your booth with imprinted displays! This tabletop display is made with an aluminum frame for long-lasting use. Each display features a pair of “feet” for sturdy, upright display. 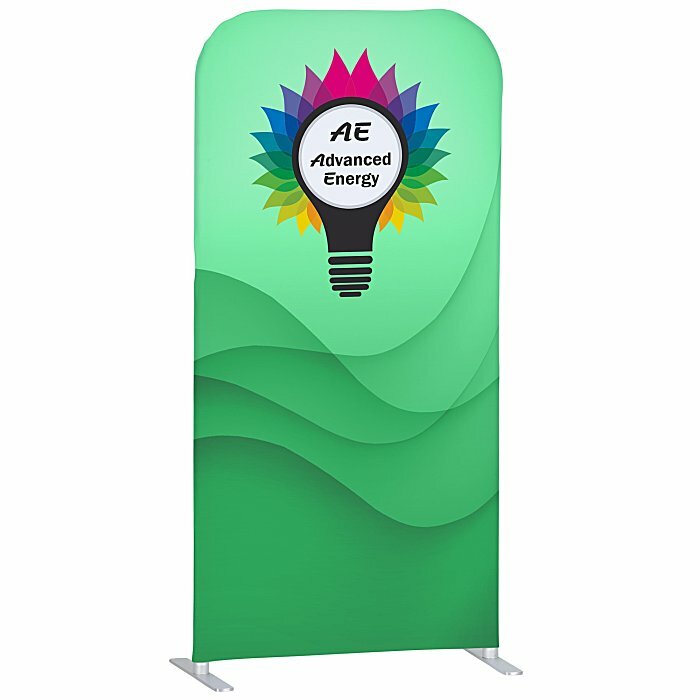 Displays include a polyester-knit graphic that slides securely over the frame. Frames are both sturdy and lightweight, making them easy to transport from venue to venue. Size: 49-1/2" x 24-3/8" x 11-3/4". Your price includes a full color imprint on the front and back of the graphic.